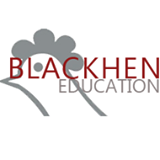 Blackhen Education: How to use adjectives in your writing. How to use adjectives in your writing. Teachers often ask students to use more adjectives in their writing. Before we look at adjectives, it is important that you understand what a noun is, because adjectives and nouns go together. · A person – Mum, John, girl, teacher, President, friend. · A place – France, shop, beach, home, London, Eiffel Tower. · A thing – dog, tree, house, bed, hat, toy, cloud, road, lolly. If the noun starts with a capital letter it’s called a proper noun. Adjectives are words that describe the noun. The adjective can describe a noun in lots of different ways. When we write a sentence, there is always a noun in the sentence. The noun is the subject that we are writing about. · Tom read his book. · The ship sailed away. In these sentences the words in blue are the nouns (nouns: dog,book,ship / proper noun: Tom). By using adjectives in our writing, we can make our sentences more interesting to read. · The lonely dog barked. · Old Tom read his tattered book. · The huge ship sailed away. I found a sock in my toy-box. I found a smelly sock in my old toy-box. I found a smelly, bobbly sock in my old, blue toy box. You can play this game with your friends or family when you are sitting around the table having tea, or when you are going on a car journey. Take it in turns to think about a noun. Now see if each person playing the game can think about an adjective to describe the noun. Notice how the different adjectives make you imagine a different kind of house each time. Hopefully, you now know what an adjective is. So, the next time your teacher asks you to use more adjectives in your writing, you will know what to do! Remember, adjectives make your work more interesting to read. There are lots of links on the internet that will help you to use adjectives in your writing. Why not play some of these games, and make your teachers very happy when they see adjectives in your work!